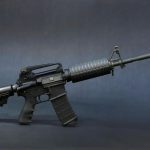 New Hampshire Democrat Sherry Frost thinks a gun raffle is a personal threat to her. Why? 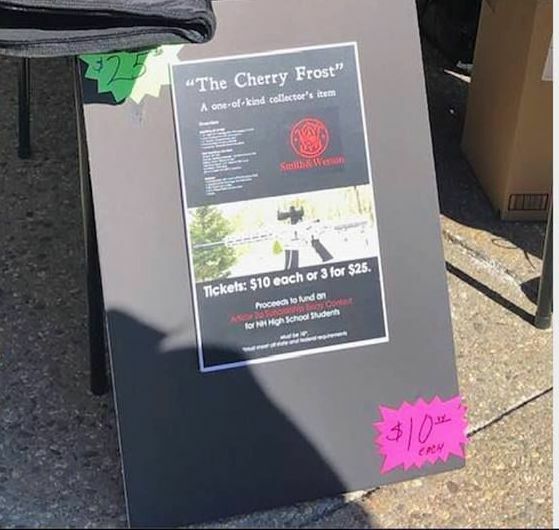 Because the name of the gun in the raffle is the “The Cherry Frost,” a .22 rifle. The raffle was billed as a “one of a kind” – a white .22 with cherries painted on it. But, by golly Democrat Rep Sherry Frost is absolutely certain it was aimed at her. (No pun intended). Another Democrat. Rep. Timothy Horrigan, even engaged the Legislative Protection Service over it. And the FBI. 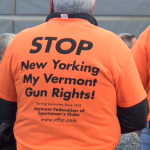 And Facebook took down the poster because it “violated their community standards.” The Department of Administrative Services is investigating whether the raffle on State House grounds violated the terms of their permit. These people are all too tightly wrapped. Nobody named the gun after her. They just wanted it to be unique. She, however is not unique. According to one website, govpredict.com, she has the “pottiest mouth” in the NH legislature because of all her cursing. Now there’s a claim to fame to be proud of. In 2017, she claimed that white, Christian men were terrorists, and that if they told her to calm down it made her “homicidal.” That caused an uproar, as well it should. The Lefts emotional outrage leaves little doubt about their lack of intellectual prowess.